One price takes care of it all! 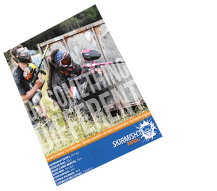 The deluxe paintball package includes everything you need for an adrenaline filled day of paintball here at Skirmish. Simply pick a date, pay one rate, and have a great time playing paintball outdoors with your friends and family. Remember, anyone age 10 and up is welcome and there is no experience necessary to play Skirmish Paintball. Individual paintball players, as well as small and large groups are welcome. Don’t forget, if you bring a group of 20+ paintball players you will be eligible for private paintball play* on your own private fields – just you and your friends! *Reservations required. 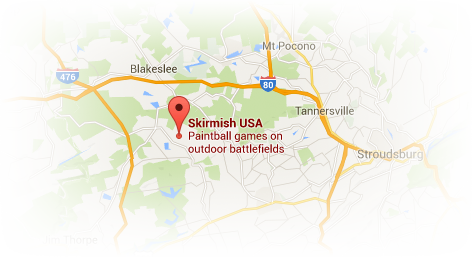 Call 1-800-SKIRMISH (1-800-754-7647) to book your Deluxe Paintball Package.